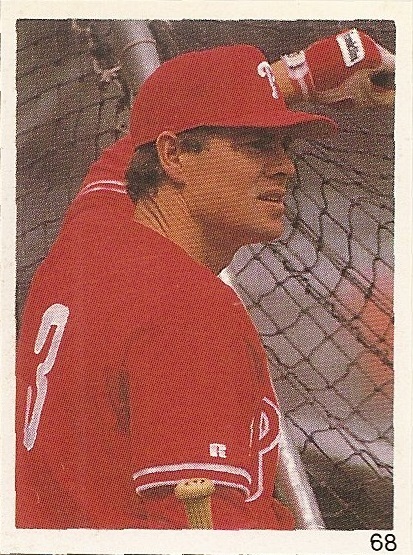 The Red Foley Stickers from 1987-93 are small, measuring 1 1/2" x 1 3/4" with a thin white border. 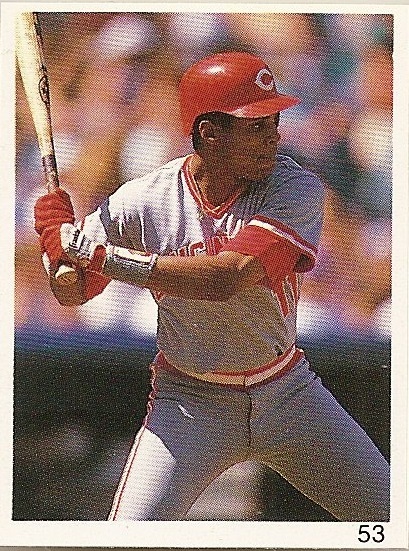 They have a blank back and the only defining information is a sticker # in the lower right-hand corner. 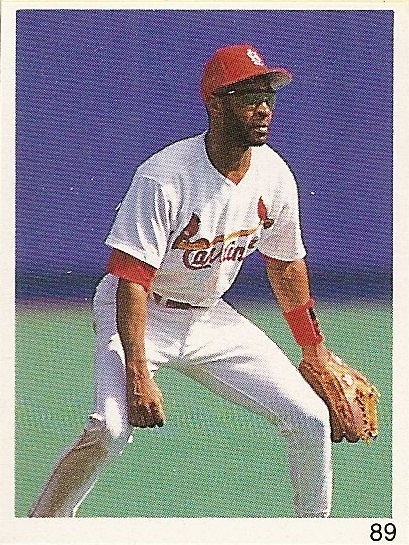 The backs of the stickers can be peeled off and put into a collectible sticker book. 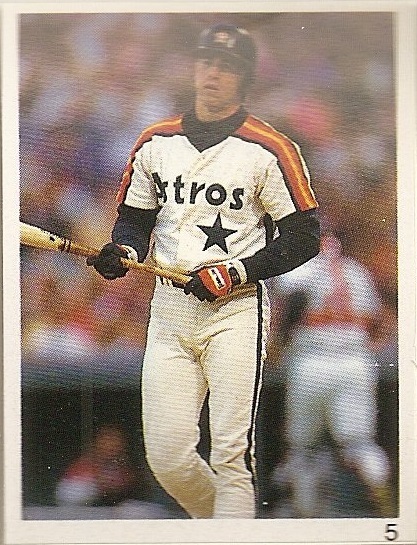 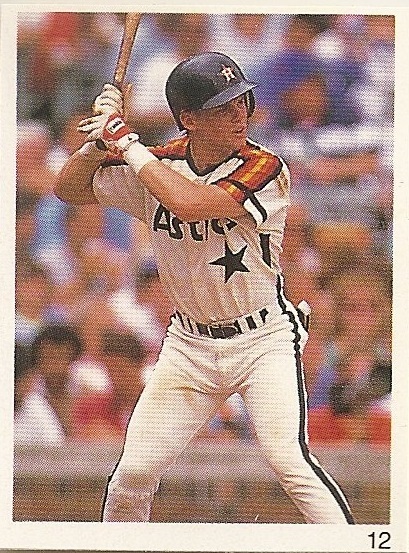 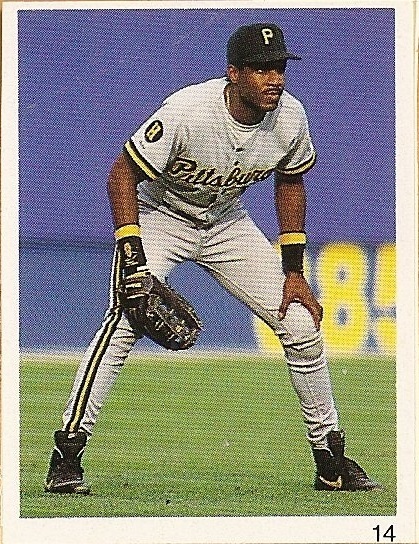 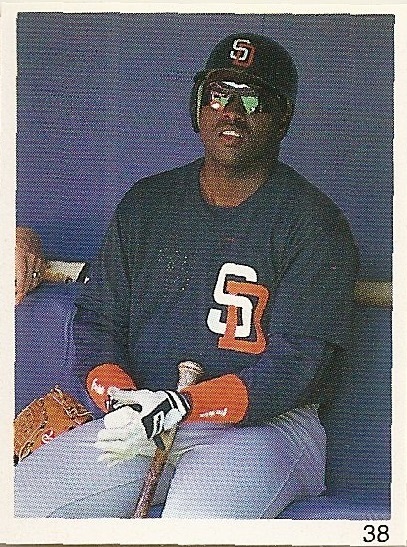 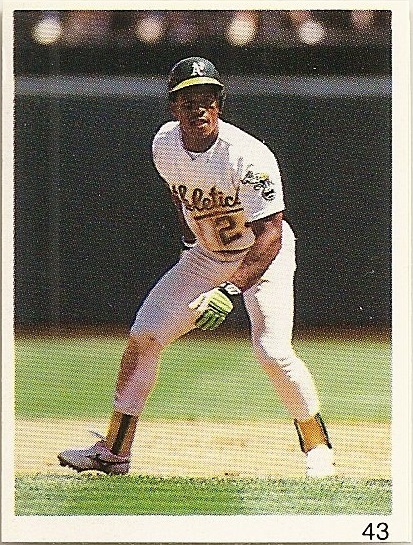 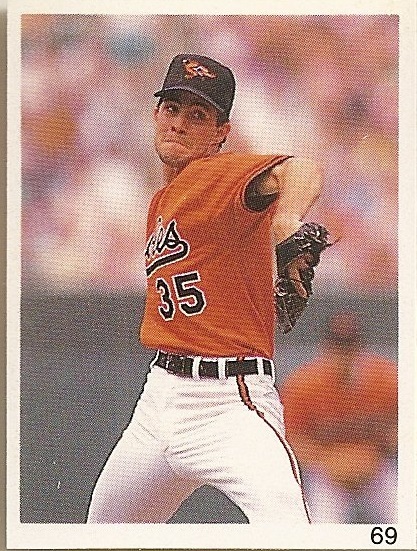 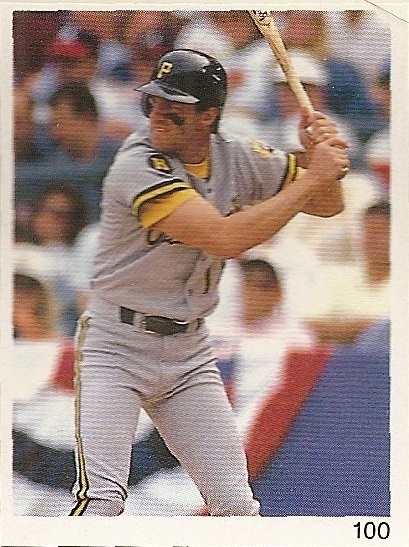 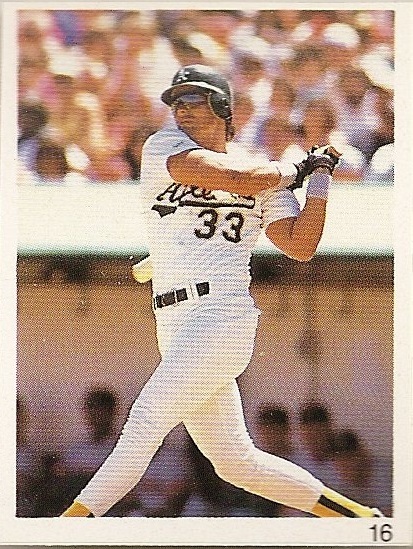 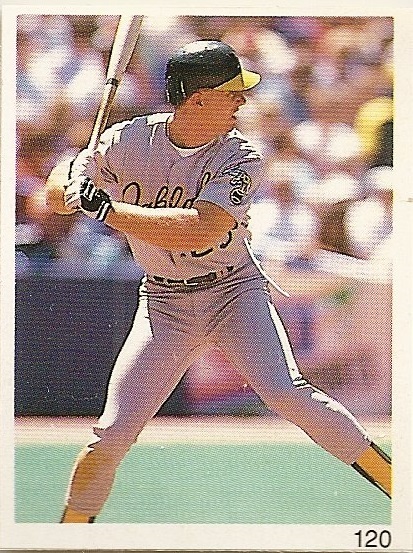 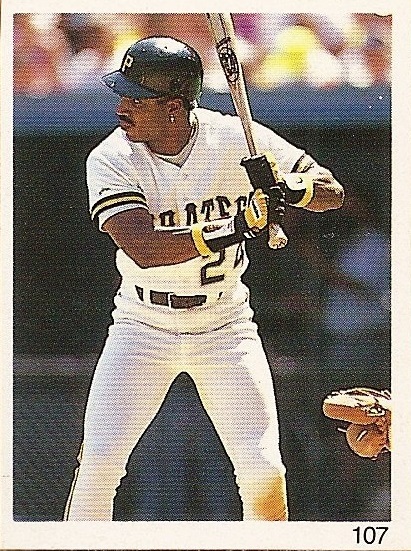 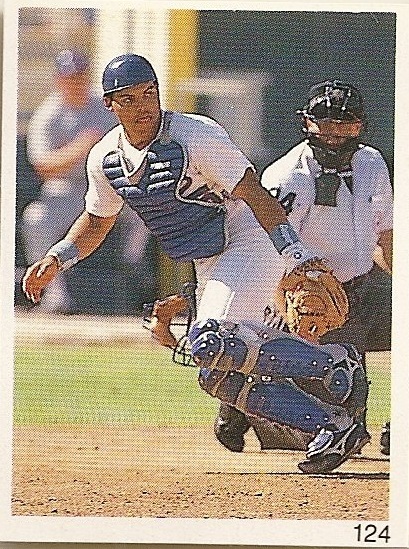 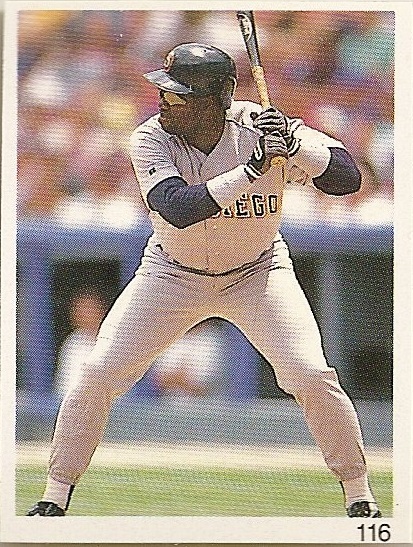 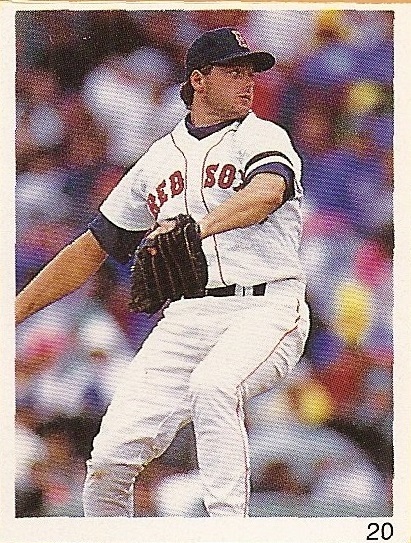 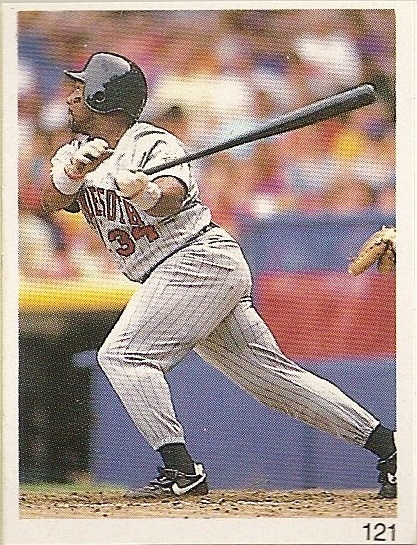 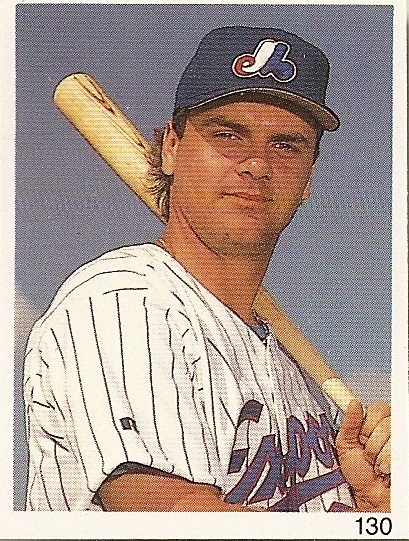 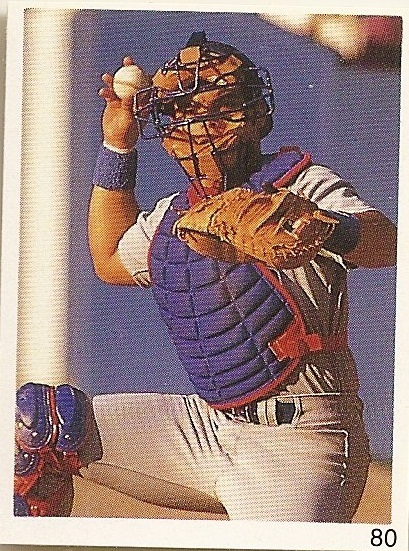 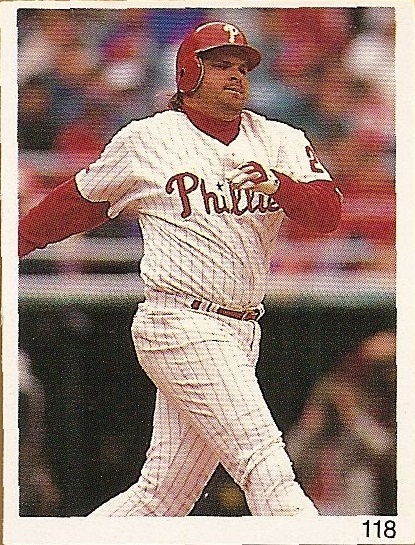 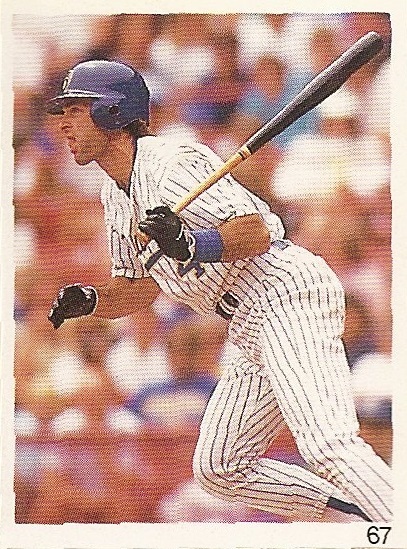 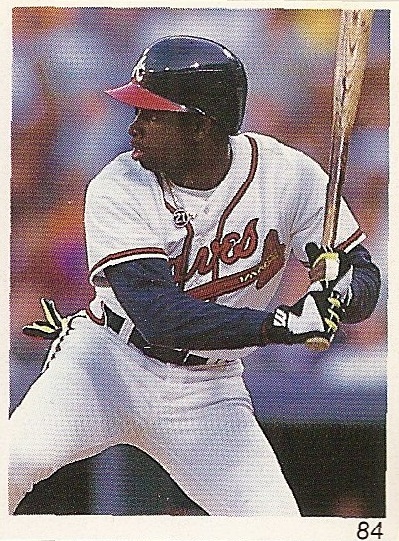 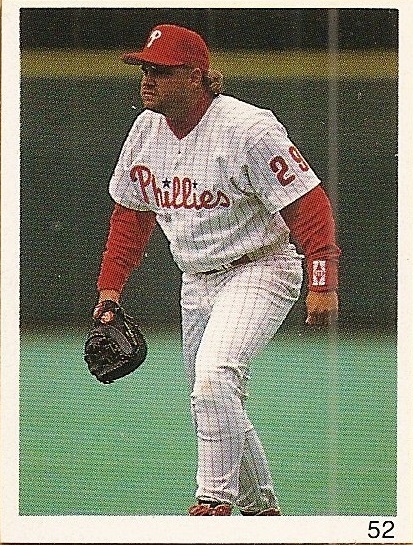 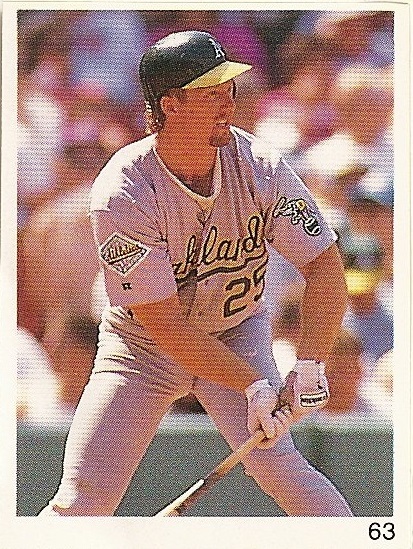 In 1994 and 1995, they changed to regular card size, 2 1/2" x 3 1/2" and used regular card stock. 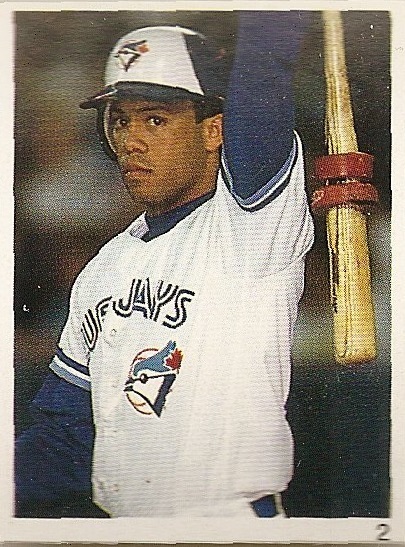 Collectors were expected to tape or glue the cards into the accompanying book. 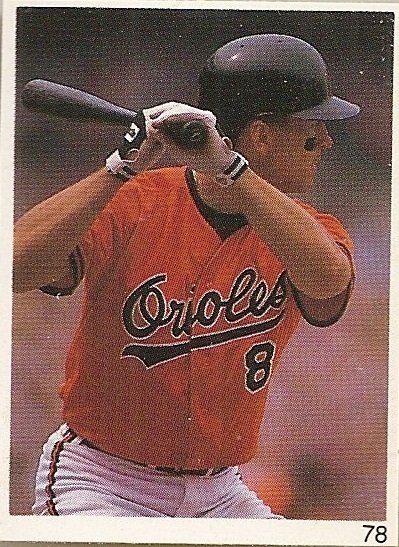 1994 and 1995 are easily confused since they are not numbered. 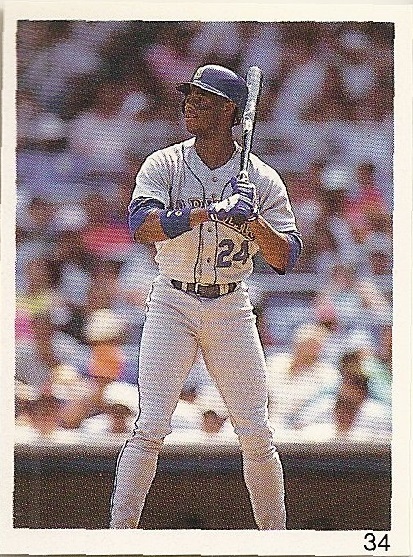 The two years can be differentiated by the combination of teammates or the color of the vertical bars in the card design. 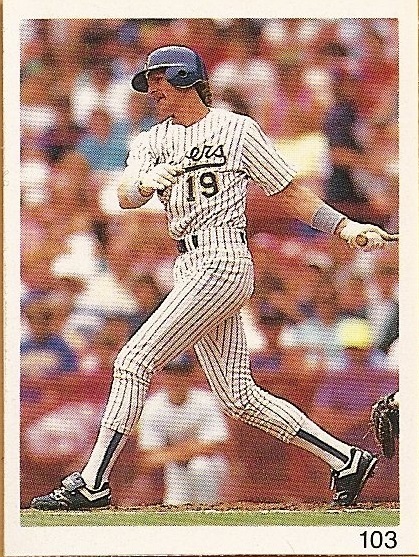 (The two exceptions are the Royals card showing Brian McRae/David Cone and the Dodgers with Piazza/Hershiser where the bar colors in both years are identical.) 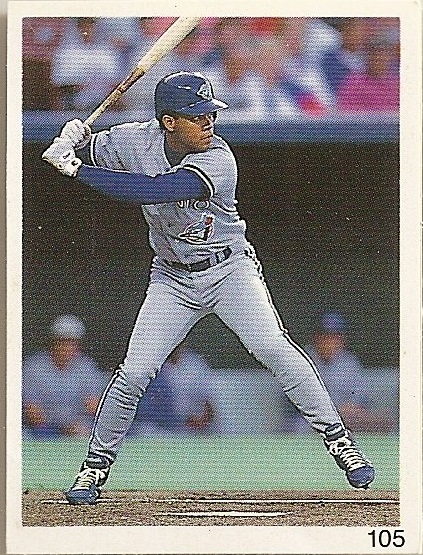 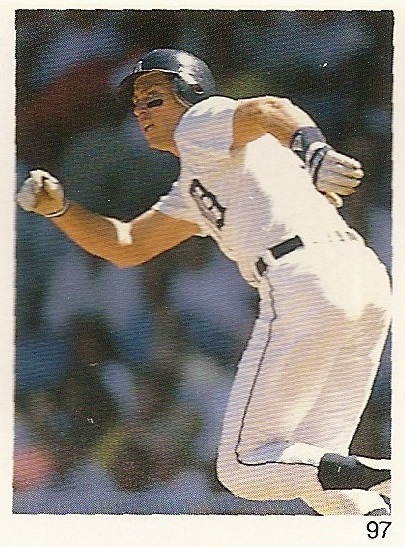 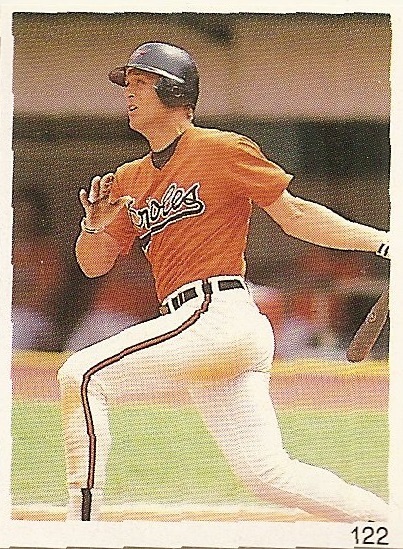 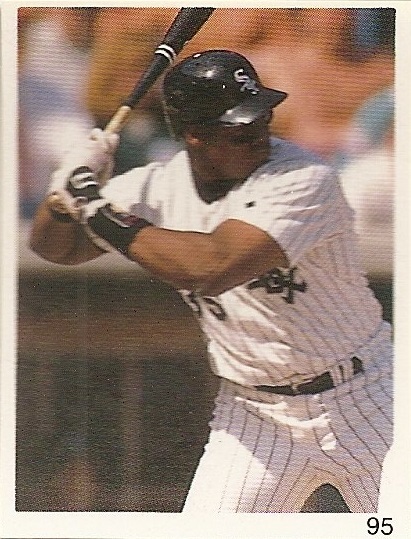 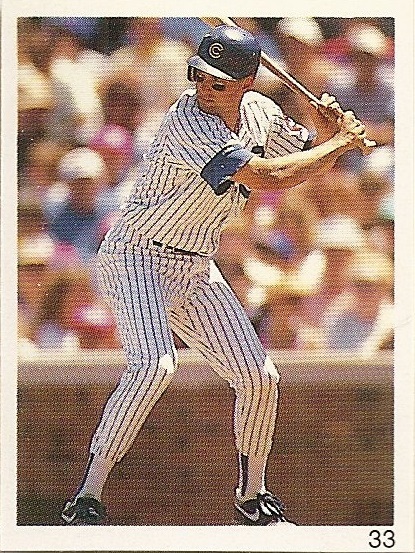 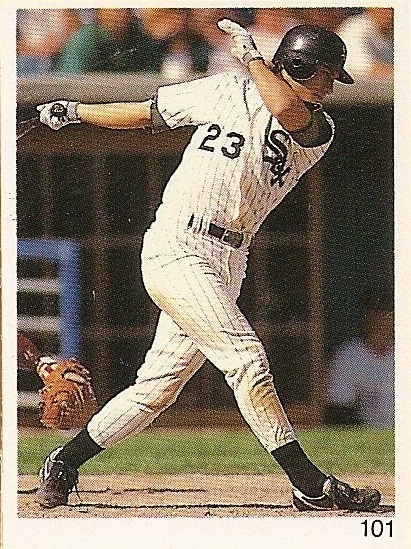 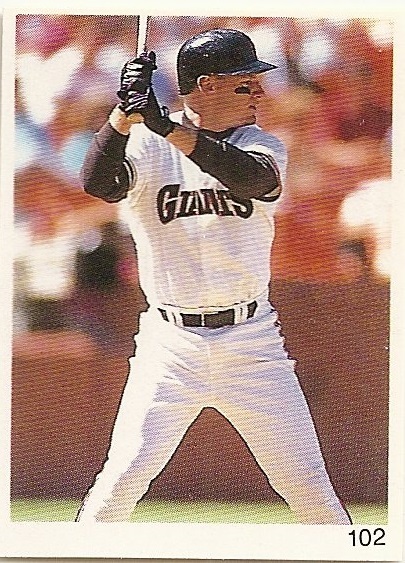 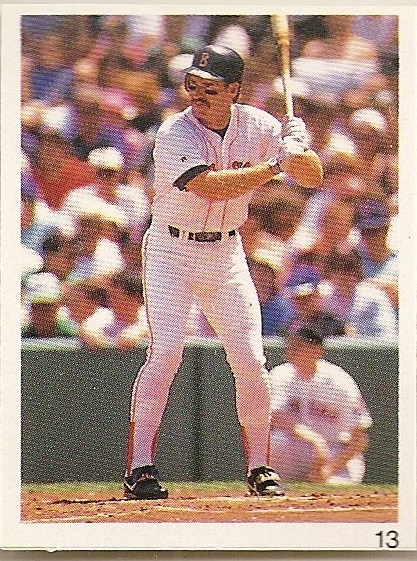 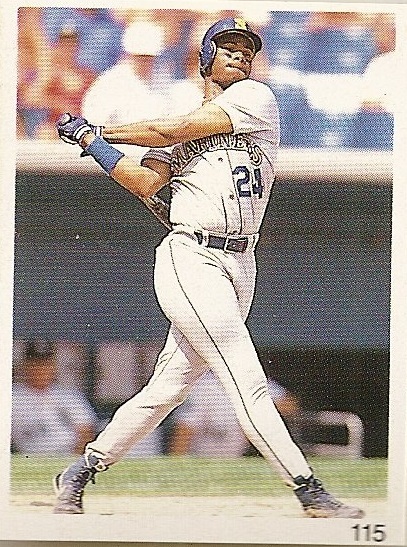 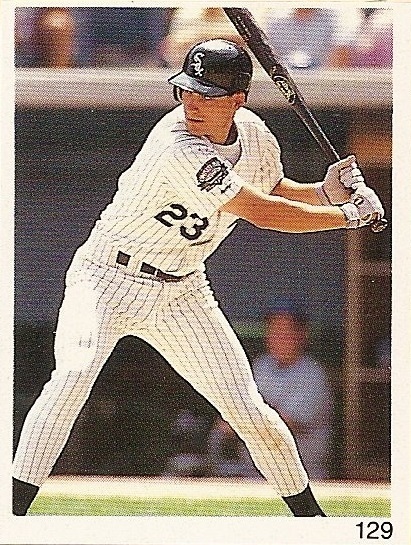 In 1996 they used a similar design and card stock from the 1994 and 1995 sets, but the cards were slightly smaller, measuring 2" x 2 3/4".